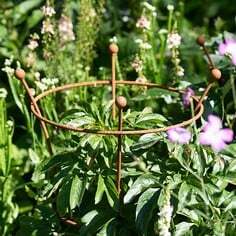 Allotment Raised Beds are perfect for vegetable growing, but also make stylish planters for flowers. 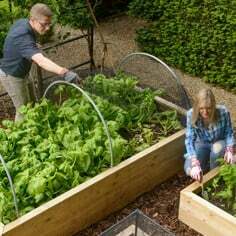 If you're new to raised bed gardening and growing your own veg, they are ideal if you don't want to splash out on superior wooden raised beds. 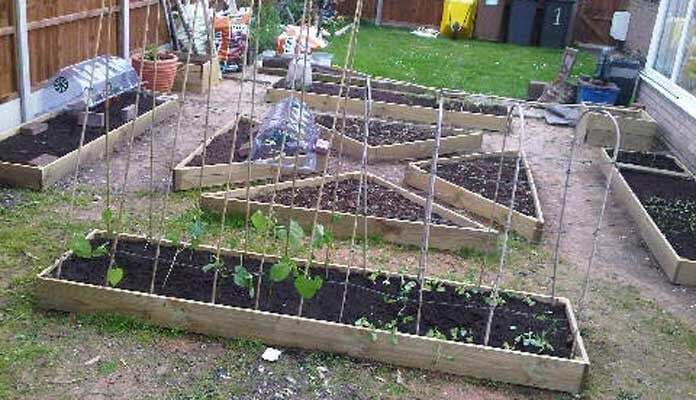 "I am really pleased with my raised beds they have allowed me to create a pattern in my veg garden so it is attractive as well as practical. The photo shows the early development of my new garden." 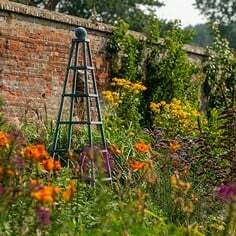 "I can say the beds were (and are) a great success; our daughter had an excellent crop of carrots, radishes, beans, herbs, etc. in the first year, and was looking forward to planting them again this year. She was out most nights with a watering can or hose, and very much enjoyed popping out to harvest some of “her” produce for cooking. 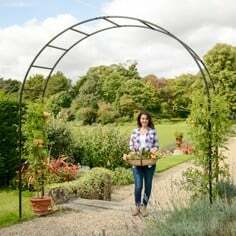 I think the ease of access around the beds and troughs and the height really helped make things more interesting, and the fact we put them in one corner made them her own project." 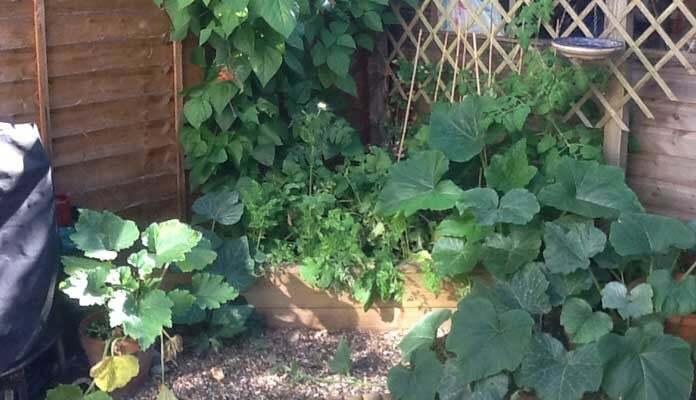 "I have a typical tiny London garden & a corner by the shed which was a bit redundant. 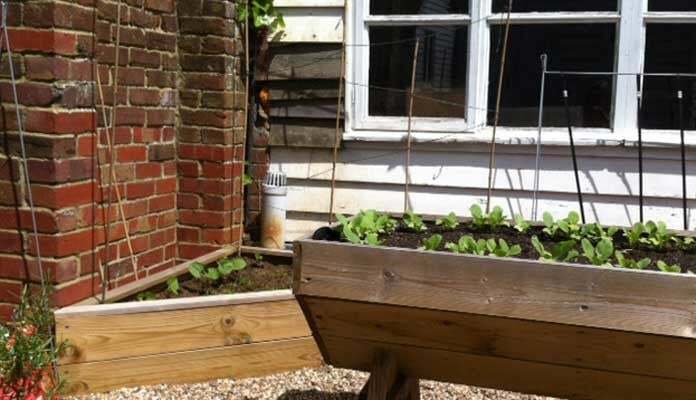 I bought the corner raised bed & have loved the thrill of seeing my veggies grow from seed! I have runner beans, turnips, peas, leeks, carrots, butternut squash, green squash & courgettes. Cutting a courgette brushing it in olive oil & popping it straight on the BBQ has been wonderful! Can't wait to do the same with the squash! My own little corner of garden heaven!" "Due to weather the beans are very slow. 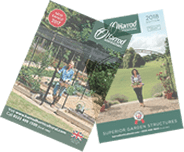 We have been delighted with all your raised beds and have them dotted about our garden. 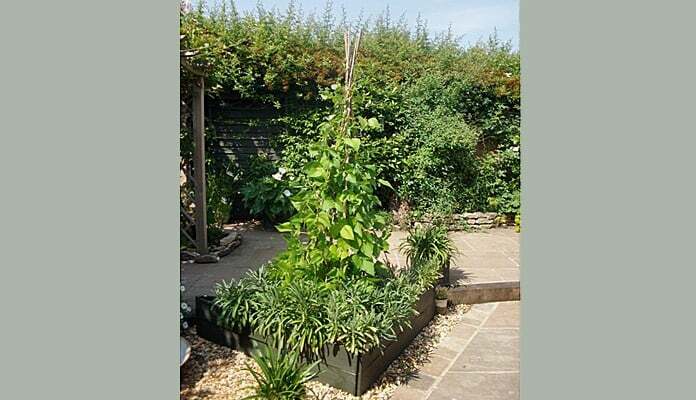 The triangular bed is particularly good for beans, if you change and add to the soil annually." 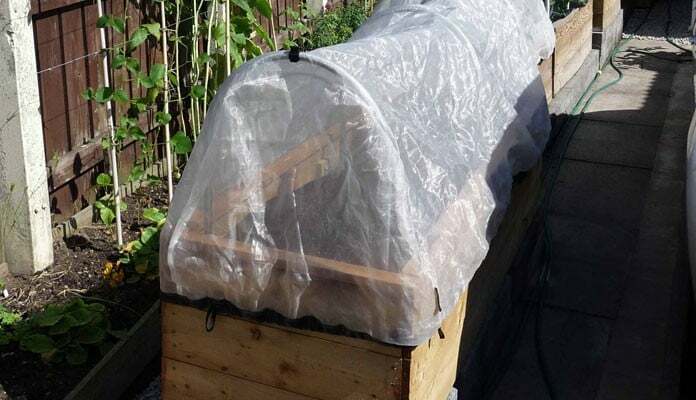 "Pictures of my raised bed tortoise enclosure, as you can see we have added a mesh top which is to stop predators getting in and to keep them safe." 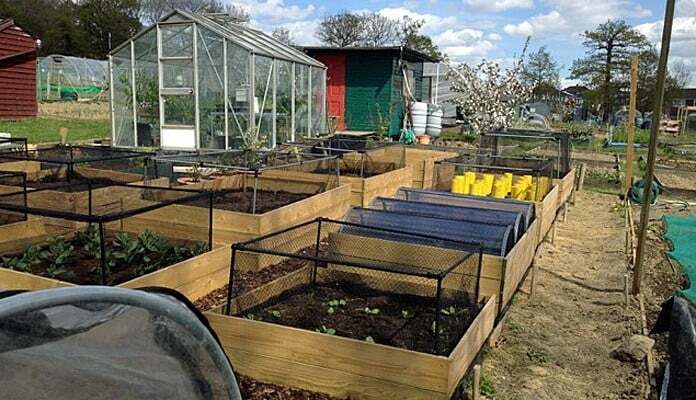 "I have five in total, four Allotment beds were purchased from yourselves. One built by myself fitted out with one of your liners. I have successfully grown two crops of carrots, peas, dwarf french beans, and onions. 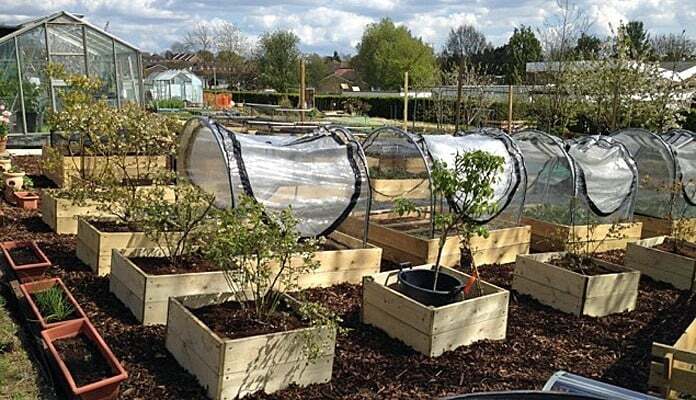 I find the hoops and insect mesh covers perfect for keeping out unwanted pests such as carrot fly,until the crop outgrows the nets." 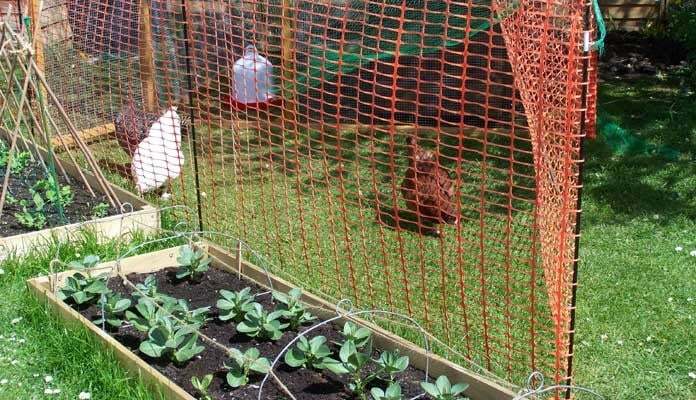 "One of my raised beds with chickens in the rear. 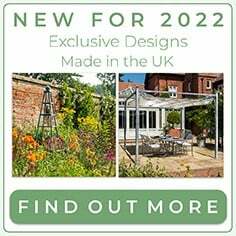 I have been really pleased with these and have purchased several different sizes over the last couple of years. 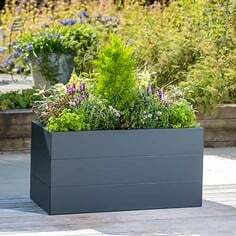 They are easy to fill with good soil, to water and to keep weed free." 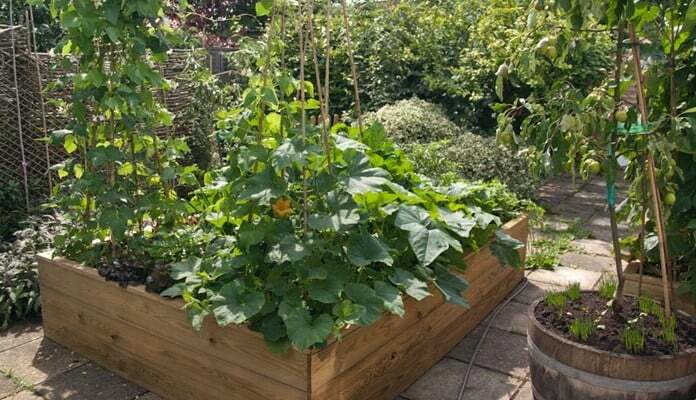 "This is my raised bed I purchased from Harrod a couple of years ago. 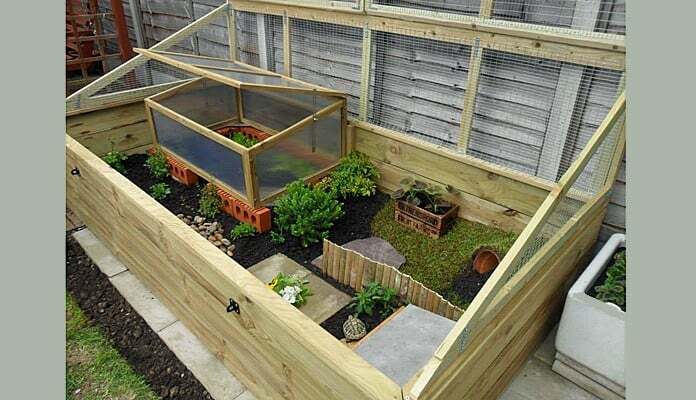 I use it to grow carrots and spring onions, followed by lettuce and a couple of cauliflowers. 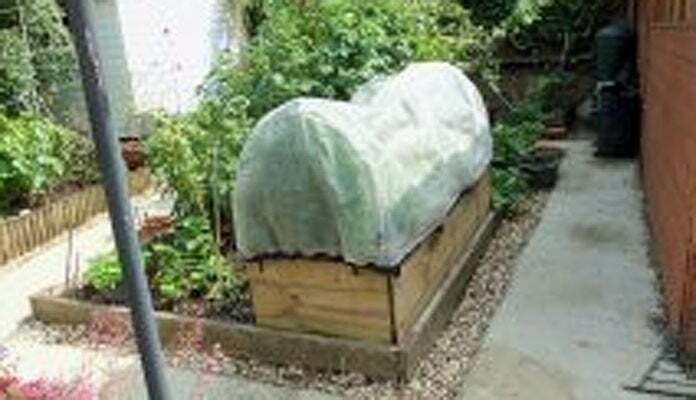 I find this raised bed very useful as I keep it covered and the pests can't ruin my small crop. 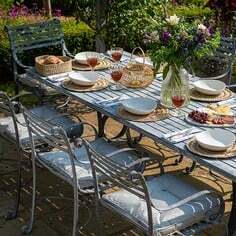 The bed was easy to put together and easy to maintain, I am pleased I purchased it." 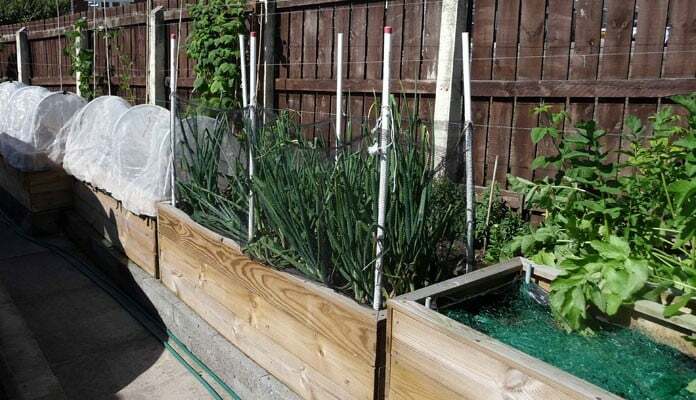 "I bought some of your allotment wooden raised beds and liners this year to increase the amount of veg growing space in my garden and patio. I am a bit obsessed with my veg and fruit growing... 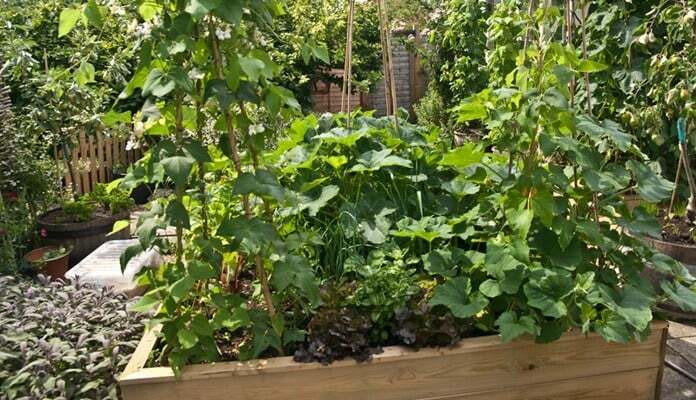 Here are photos of two of my raised beds which are now flourishing and bursting with veg! I filled these raised beds with a mix of topsoil, organic garden compost, and horticultural grit and then worked Seers rock dust and organic vegetable based plant food pellets into the top inch of soil and planted up the planters.... the amount of topsoil and compost needed to fill the larger bed was staggering but now it's done I feel it's a brilliant investment and will help me to grow so much more food. 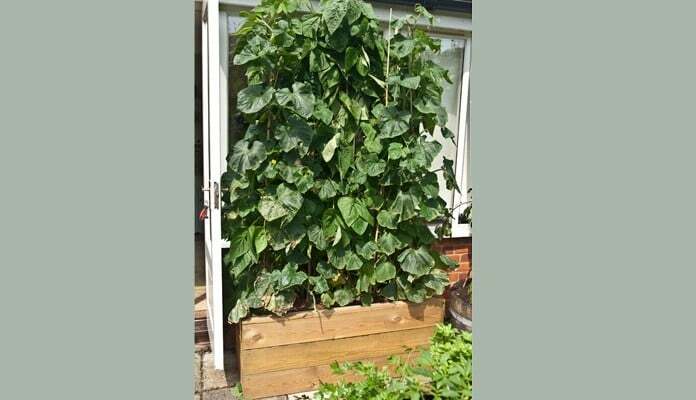 The 2 foot by 4 foot planter is filled with climbing french beans, ridge cucumbers and gherkins. The larger 6 foot by 8 foot raised bed is planted up with winter squashes (Harlequin and Butternut), trained up canes, rainbow chard and swiss chard, runner beans, flat leaf parsley, basil, leeks (waiting bed), red and black chilli peppers and red lettuce.... there are even a few carrots tucked in there somewhere...."
"Having used these raised beds in my garden it was a natural choice to use them in my new allotment. My plot is on hard clay and I wanted a 'no dig' planting area. 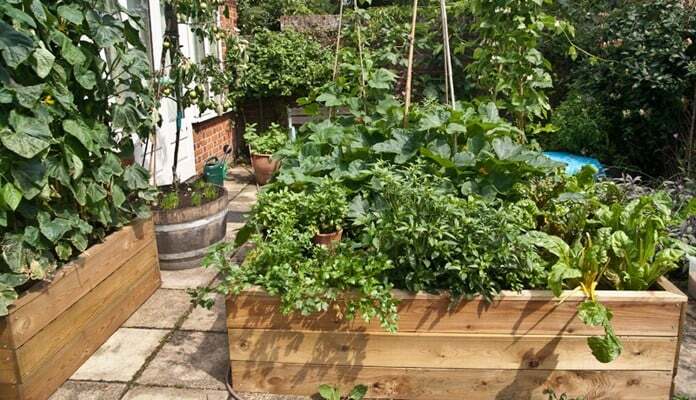 I used a variety of sizes and shapes to accommodate a wide variety of vegetables. I also used the tailor made hoops, nets and covers. 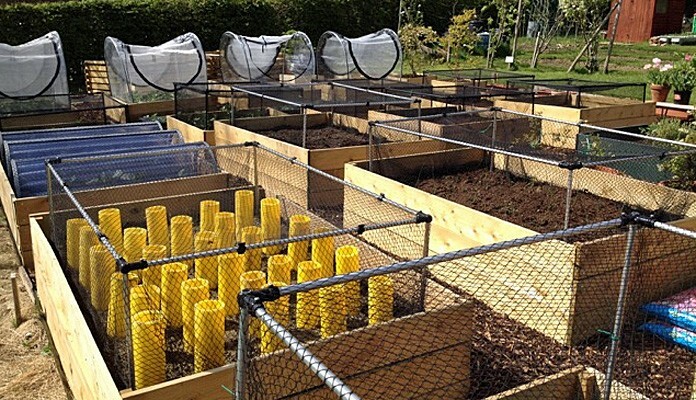 I now have an easily managed and wonderful looking allotment."